Jio digital life (formerly reliance mobile) brings attractive data,talk-time, sms bundle offer starting from Rs. 19 only for the year 2017. Jio customers will get unlimited Voice call, SMS and night browsing through out the validity period. Here are all the pros and cons of 4G bundle plans listed in a table for choosing easily. 1. Voice is truly free – no charge towards voice or the data used to make 4G voice calls. 2. "Unlimited at Night" pertains to 4G data used between 2am – 5am. 3. Wi-Fi data benefits in the plans pertain to Wi-Fi data availed in the Public Wi-Fi hotspots of RJIL. 4. The subscribers can avail the above plans effective from 1st April 2017. 5. 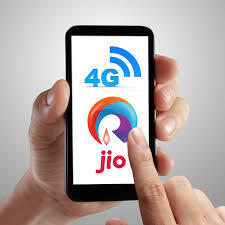 The data used by the consumers for Jio applications, Video calls and other content available on internet would be uniformly debited against plan data allocation. 6. Unutilized free benefits will be forfeited at the end of validity. 7. The prepaid packs with denominations Rs.19, Rs.129 and Rs.299 cannot be availed as a First recharge by new subscribers. 8. 25% additional 4G and WiFi data benefits will be provided to students on providing a valid identity card, as per process. 9. Prepaid tariffs are inclusive of all applicable taxes. 10. On Postpaid tariffs applicable taxes will be charged. The Postpaid subscribers opting for the Auto-debit option using credit/debit cards/online transfer to pay their monthly mobile phone bill and opting for e-bill will be accorded an additional 15% discount on the bill value. 11. The above 4G plans can only be availed by customers possessing a LTE compatible handset.